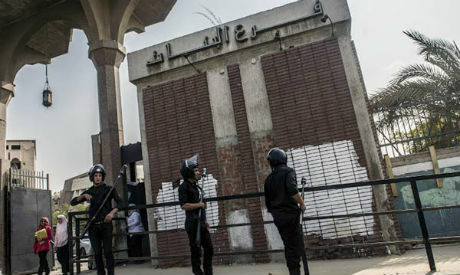 Egypt’s Al-Azhar University overturned a decision to permanently expel a female student after she was filmed during a public embrace with a male friend, hours after the Grand Imam of Al-Azhar Ahmed El-Tayeb urged the university to reconsider their decision. The university’s disciplinary committee said in its emergency meeting that it has decided the scrap the ‘punishment’, deciding to prevent the student from sitting for her exams this term in ‘keenness over her educational future’. The decision comes after El-Tayeb called on the disciplinary board to revise their punishment, despite describing the incident as "unacceptable and violating the community's religious and Eastern traditions." The woman studies Arabic language at Al-Azhar University branch in Al-Mansoura in Nile Delta but the video has been taken at Al-Masnoura University. The incident triggered the two universities’ disciplinary boards to take action.